Earlier today, President Barack Obama renewed his oath of office for his second term in front of millions of people who had descended to Washington, D.C. to take part in this historic occasion. But those of us who weren't lucky enough to attend in person could tune in live via a number of live streams taking place across many major media outlets, including several Brightcove customers like The New York Times, POLITICO and USA Today. Live streams always make events like this all the more exciting and give a broad audience the opportunity to participate in a very meaningful way. 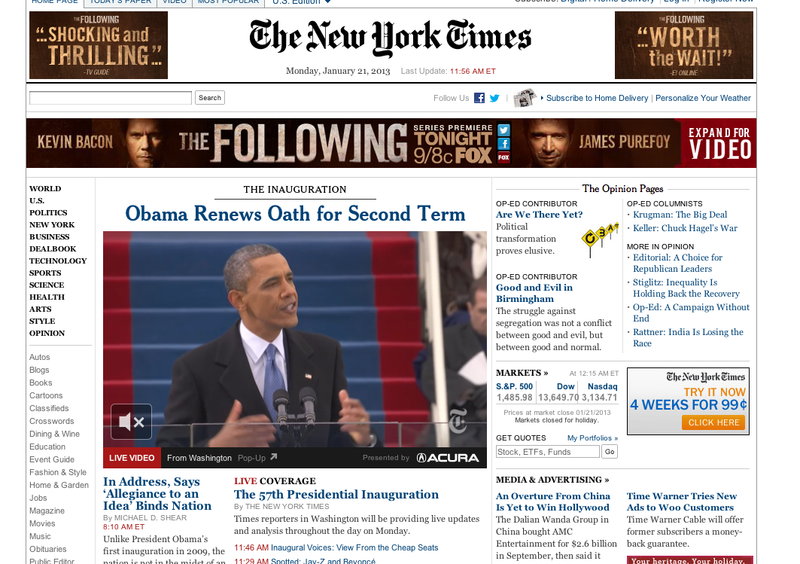 Whether it's a live video player right on the homepage of newyorktimes.com or a fully interactive, social media driven video experience at usatoday.com, we were thrilled to watch history take place using our online video platform. And, according to ABC News, outside of live stream viewers, even more folks were commenting on the festivities across Twitter, Facebook and other social media outlets. 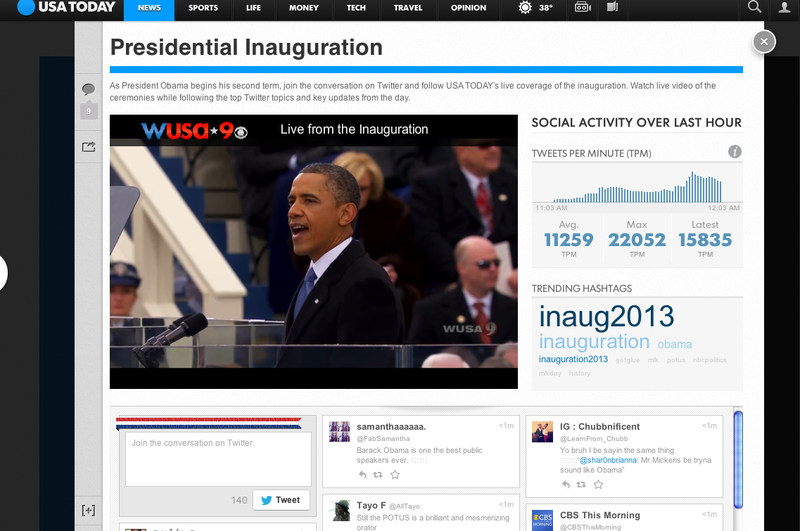 As of 10am ET, Twitter reported that in the previous 90 minutes there had already been more tweets than during the actual 90-minute inaugural ceremony in 2009. During this year's ceremony, there were 1.1 million inauguration-related tweets, with 27,795 per minute at the highest peak. That is just massive, and it speaks volumes about our social-driven world and viewers moving to contextual, integrated viewing experiences. It's hard to imagine what the numbers, and the technology will look like 4 years from now, but we can't wait to find out!